Since I started blogging almost a year ago (where has the time gone?!) I’ve come to really love the blogging community. I’ve found so many amazing blogs to read and so many lovely people to talk to. 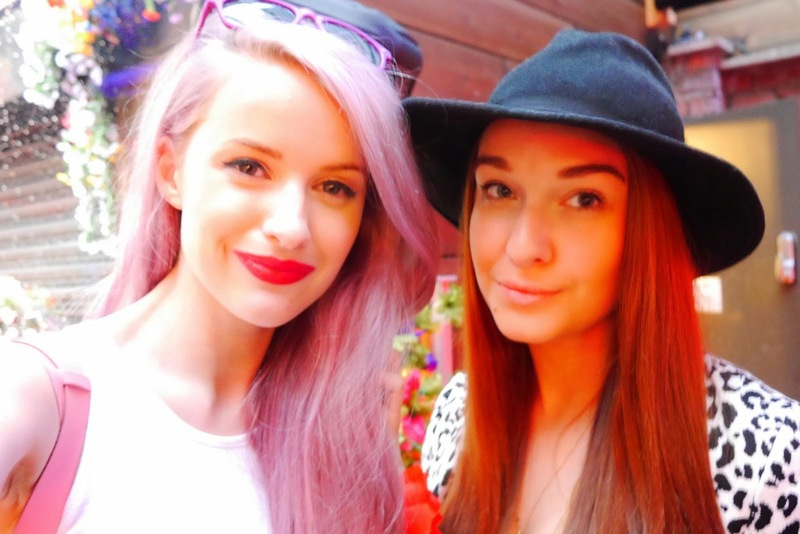 One of these charming bloggers is Victoria from IntheFrow who very kindly let me interview her for my blog. 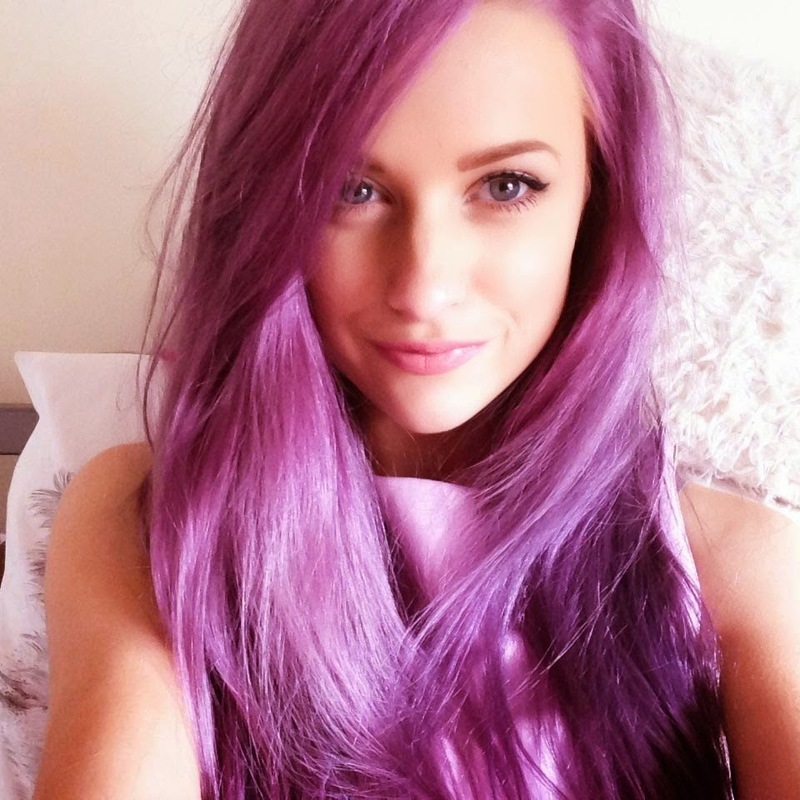 I’m seriously obsessed with her amazing purple hair and she does fantastic YouTube videos and attention grabbing blog posts. I hope you enjoy getting to know the girl behind the blog a little better. Hi there Victoria! Would you be able to introduce yourself to my readers please? 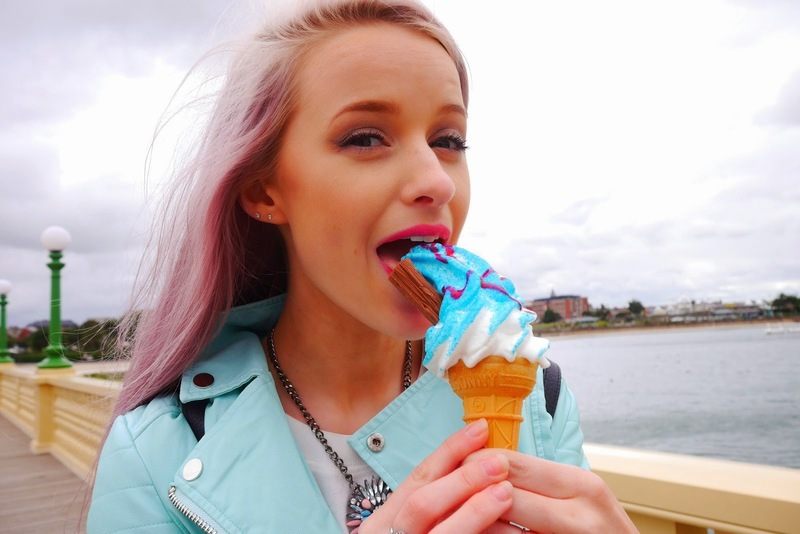 I write for Inthefrow.com, a beauty, style and lifestyle blog whilst also creating YouTube videos as Inthefrow. I have purple hair and a bit of an obsession with shoes. When did you first start blogging, and what inspired you to start? I started in October 2012 after being ridiculously inspired by other bloggers. I didn’t know such a world existed until then. The freedom to write about what you love, plus meeting so many other bloggers and brands is amazing. What advice would you give to someone who is just starting out in the blogging world? Anything they should or shouldn’t do? Don’t try to copy anyone else, do your own thing and make a statement. I can’t stand seeing bloggers that copy others. Some people think blogging is all about getting free stuff and exciting experiences, but we know there’s so much more to it than that. What do you get out of blogging? Its hard work and my days are filled with things to do. I’m pretty exhausted in honesty, as I work full time too. I do love seeing people reading what I have to say though. It makes it all worth it. Do you ever feel nervous about vlogging? Does it take a lot of self-confidence to put yourself out there? I did at first I suppose, but not really now. I don’t care what others think, as the majority love what I do when I vlog, so negative opinions do not faze me now. How do you deal with negative comments about your blog or videos? I delete them. It used to upset me, but now its best to glaze over it, delete it and move on. Those people blatantly have nothing better to do with their little lives. When you’re not blogging what would we find you doing? Working. I work as a fashion lecturer at the University of Manchester. Otherwise, I’ll be out in a restaurant with a glass of wine and my Boyfriend. What advice would you give to someone who is trying to build up relationships with brands? I would say that being kind and friendly will get you a long way. We’d love to hear a fashion or beauty tip from you – what can you recommend? A beauty tip would be, never forget to take off your makeup, no matter how intoxicated you are. That’s the biggest no no. And for fashion, wear what you want, when you want... within reason. Do you have a favourite colour, and if so what is it? What are your blogging goals for the next year? To grow my blog to twice its size (a girl can dream) and to work with more amazing brands and bloggers who I haven’t yet met. Thank you so much to Victoria for letting me interview her and also for keeping such a great blog. I look forward to seeing what you do in the future. Are you a fan of Victoria’s blog? Who else would you like to see me interview? This is a lovely interview, it's always great to hear from others! I've recently discovered Victoria on YouTube and I am off to check out her blog now!